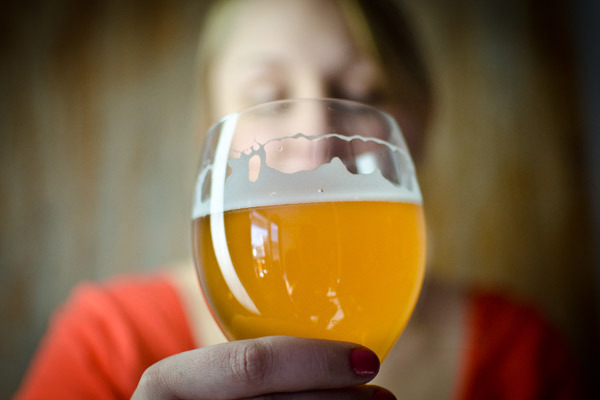 When perceiving certain aromas of beer, you may hear people refer to “esters” and “phenols.” These terms are often times used incorrectly or interchangeably. The fact of the matter is, esters and phenols are quite different, though they can be present at the same time. Let’s take a look at some of the main causes of esters and phenols in beer. The fruity aromas perceivable in beer are typically generated by yeast esters, unless there’s actual fruit in the recipe. During fermentation, a reaction between organic acids present in the wort and the developing alcohol cause esters to form. Common aromatic ester characteristics include banana, pear drop, apple, honey, roses and even solvent-like in some instances. While the reaction between the acids and alcohol actually form esters, three variables influence the amount of esters that can potentially develop. 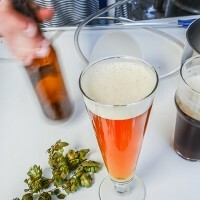 By understanding and managing these variables, homebrewers can have a certain level of control over the character and level of esters produced. 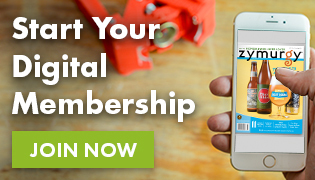 High concentrations of sugar, zinc and free amino acids tend to promote higher ester levels. Higher levels of dissolved oxygen and lipid content can inhibit ester formation. Some yeast strains are more inclined to produce esters. For example yeasts used to ferment Bavarian wheat beers are known for producing high levels of isoamyl acetate, which give that signature banana-like flavor found in many German wheat beers. Generally speaking, ale yeasts produce more strains than lagers, but this is likely mainly do to the warmer fermentation temperatures. Believe it or not, the shape of the fermenter can impact the production of esters. Tall, narrow fermenters tend to produce lower levels of esters than shallower, more open vessels. This is because high hydrostatic pressure and levels of CO2 in the tall, narrow vessels inhibit ester formation. 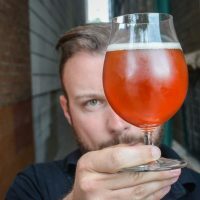 Some form of phenols or polyphenols are always present in beer, but when beer drinkers note they are picking up “phenols” or describe a beer as “phenolic” they tend to be referring to the aromas of volatile phenols. 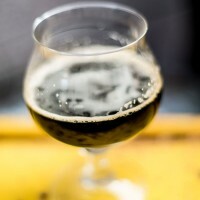 In most cases, phenols are not desirable, but there are some exceptions for certain beer styles. Phenols are detectable at very small concentrations and tend to show up as clove-like, medicinal or smoky aromas. Volatile phenols are generally derived from three different sources. Water can often times contain phenols that are transferred to beer, which are not eradicated during the boil. Smoked malts, like rauchmalt and peat malt, add phenols that impart smoky, earthy notes reminiscent of a camp fire. When brewing smoked beers, these phenols can be desirable. Hops and malt also are a source of polyphenols in the form of tannins, which are perceived more through sensation then smell. Chlorine and bromine tend to encourage high levels of phenols and polyphenols. Chlorine is common in water, which can be treated before brewing to remove. Chlorine can also be picked up on equipment that has been cleaned with chlorine-based products and not thoroughly rinsed. Chlorine and bromine derived phenols tend to take on antiseptic and burning characteristics, respectively. For example, the clove character commonly found in Bavarian wheat and Belgian beers is caused by 4-Vinyl guaiacol, which is produced by the decarboxylation of ferulic acid. When brewers desire more clove-like phenols, the goal is to increase ferulic acid. This can be achieved by selecting specific yeast strains, conducting a mash rest at 113°F, and/or fermenting at warmer temperatures. Some of the signature earthy, barnyard aromas produced by Brettanomyces are also phenols. Sources: The Oxford Companion to Beer by Garrett Oliver et al; Yeast: The Practical Guide to Beer Fermentation by Chris White and Jamil Zainasheff.